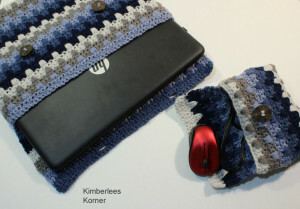 This crochet pattern is for a laptop sleeve plus a bonus small case pattern for your power cord and mouse. I designed this pattern because I wanted a sleeve type of case that would fit down into a larger bag that I use when I travel. 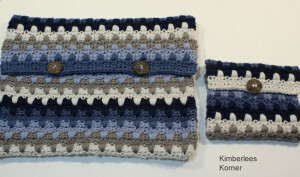 This crochet pattern is a lot of fun to make and works up pretty quickly. 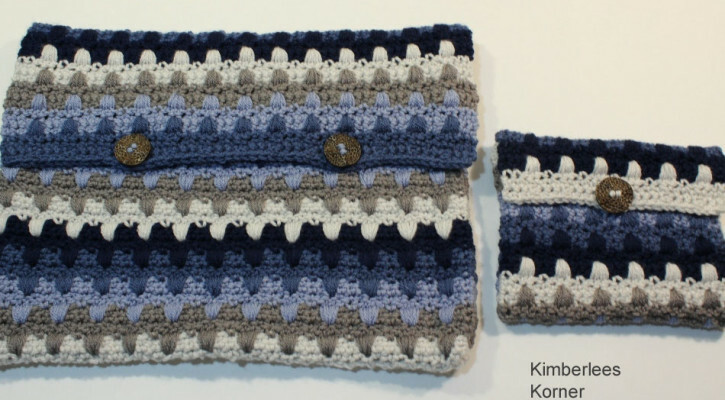 This is an intermediate level pattern that is a 4 row repeat and you will need to know how to single crochet, chain, skip chains, double crochet and long double crochet – I explain the long double crochet stitch in the pattern with photos. 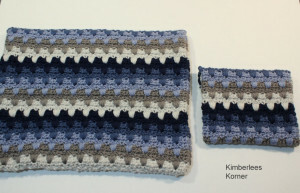 The yarn used for this pattern is basic acrylic yarn – I used Hobby Lobby I Love This Yarn – in 5 different colors. 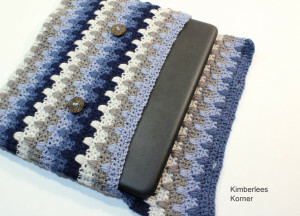 You will also need 3 large buttons for this pattern. Hook size used is a US K.
Any items made from this pattern may be sold.